Mile Hi Electric is Your Denver Electrician and Contractor UP-FRONT PRICING FAST ELECTRICAL SERVICE & CHEAP HONEST PRICING FULLY LICENSED & INSURED FOR ALL ELECTRICAL and HANDYMAN NEEDS INCLUDING: WE WILL MEET CAN ALWAYS BEAT THE BIG COMPANIES ON AVAILABILITY, PRICING AND QUALITY! 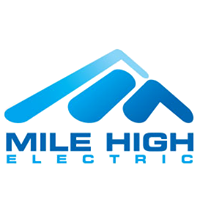 Hi, I am Chris Spence and I grew up in Denver, Co and I 've owned and operated Mile Hi Electric since 1996. I specialize in electrical work in old victorian homes and basic repair work. Plus I have lots of experience in commercial work too. I work in the metro area but have specialized in North Denver, The Highlands, Baker, Capitol Hill, Cheesman Park, City Park, Congress Park, Cherry Creek, Speer, Five Points, Globeville, Stapleton, Park Hill, Sunnyside and pretty much all the old Denver neighborhoods.